Here is some light reading for you while you wait for your homemade soup to be ready. 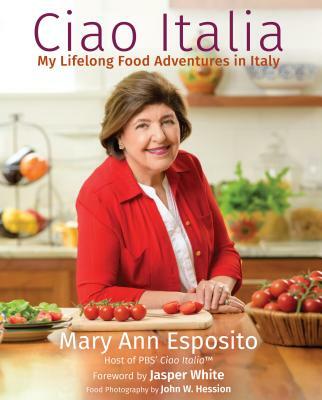 I Wish I Were French (Most of the time): Amy goes Italian, trying some great recipes from Mary Ann's new cookbook, Ciao Italia Five-Ingredient Favorites. Recipes for Ben: One of the cookbooks Ben received from his Mother was Mary Ann's Ciao Italia. Ben tried out Mary Ann's recipe for white lasagna with pine nuts. Andy's Diner: Andy took some inspiration from Mary Ann's recipe for Beef in Barolo Wine with superb results! Asbury Park Press: Mary Ann will demonstrate recipes from her new cookbook at Brookdale Community College on October 29.